The developer of world's most widely used penetration testing distribution named BackTrack officially announce the full release of BackTrack 5 R2. With this release they have closed several bugs, upgraded & added 42 new tools. BT 5 R2 is running custom-built 3.2.6 kernel with the best wireless support available. 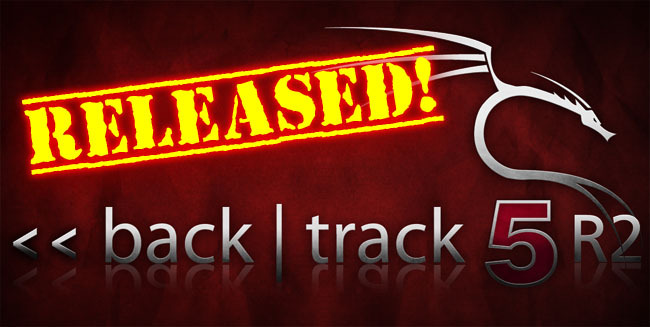 The developers have also claimed that this the fastest and best release of BackTrack yet. In BackTrack 5 R2 you will find Metasploit 4.2.0 Community Edition, version 3.0 of the Social Engineer Toolkit, BeEF 0.4.3.2, and many other tool upgrades too numerous to mention. Rest f other information can be found on the BT Wiki page. To download BackTrack 5 R2 Click Here. If you are already using BT then you can upgrade your version while following the below steps.